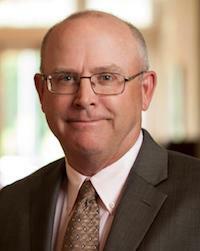 RANDY HOLT devotes his time serving as general counsel to Wabash Valley Power Association, a generation and transmission cooperative client of the firm. Mr. Holt practices in the areas of corporate law and governance, electric cooperative law, corporate formation, mergers and acquisitions, utility law, commercial contracts, real estate transactions and employment law. Mr. Holt has previous work experience in the areas of business administration, purchasing, human resources and labor relations in the public and private sector. Mr. Holt is a member of the Indiana State Bar Association, the Indianapolis Bar Association, the Electric Cooperative Bar Association, and is a former consumer member of the Indiana Board of Accountancy. Mr. Holt is admitted to practice in the state of Indiana, the Northern and Southern Districts of Indiana, the Seventh Circuit Court of Appeals, and the Court of Appeals for the D.C. Circuit.